As I read the last page of Pandemonium and flip to the back cover, I am in shock and awe at what Lauren Oliver has done again with this amazing story. I expected a good old middle book, where nothing really happens except drag the story on, maybe some character development, just to get us through to the third and final installment. I couldn't have been further from the truth. This book, in my opinion, was even better than the first, and I really, REALLY, loved the first book (Delirium). We follow Lena through her struggles and achievements after the heart gripping cliffhanger we were left with in Delirium (Note: If you haven't read Delirium yet, do it now!!! and sorry if I give up any book 1 spoilers, but sometimes I won't be able to help it in order to get my point across). After Lena crosses over to The Wilds, she finds that it was not as easy as she thought it was going to be. It wasn't all love and games and pretty things. She was in for the lesson of her life, and sometimes the lesson itself was to value and fight for her own life. New, very interesting, characters are introduced, and some old ones I wish had been there. 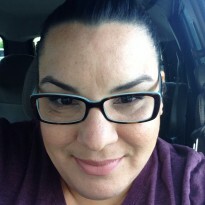 Lena finds herself part of The Resistance, which is rapidly growing, as the number of sympathizers and uncureds who are doubting the cure rises. Lena infiltrates the DFA (Deliria-Free America) and takes on the assignment of shadowing Julian Fineman, son of the head of the DFA and the poster child of the DFA's Youth Division. He is not yet cured, but it's about to be. Circumstances put Julian and Lena together, and they are forced to coexist and work together. This leads to an inevitable love triangle, between Lena and Julian, and the boy Lena is in love with Alex, who sacrificed himself in the first book to get Lena to the other side of the fence. The thing is that Alex is invisible to Lena, since she doesn't know if he is even physically alive, but very much alive in Lena's heart. 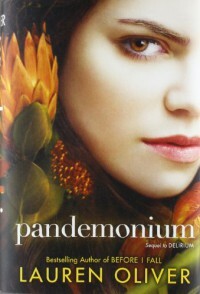 Just like Delirium, Pandemonium ends with a shocker of a cliffhanger. We find out more about Lena's mom and we witness Lena's growth, from a weak girl with unreachable dreams, to a strong, independent woman, who can kick anyone's behind. I am absolutely blown away by this sequel and can't wait to find out what happens now. Lauren Oliver has once again captivated me with the beautiful prose and fast-paced action found in this book. 5 stars all the way.